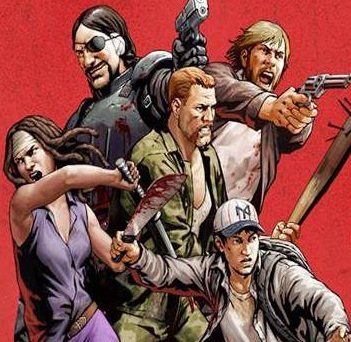 The Walking Dead: Road to Survival from Scopely is a turn based RPG based on the popular comic books. The game takes place when Philip Blake gets to Woodbury just before he became the Governor. This game by the way, focuses on the comic books, so don’t expect much resemblance with the TV series, but this is still a cool game. The turn based fighting system is easy to figure out. At each turn, each of your characters can go after a target once and if you’re up against zombies, they take one step nearer your group. Characters have different traits and abilities however, so you have to look into each situation before attacking. Essentially the game boils down to your characters fighting waves upon waves of zombies and it’s a lot of fun. Aside from hacking and slashing, the game actually has a story that runs parallel to the ones in the comics. If you play the game in single player campaign mode, you’re going to run into characters from Woodbury and you will see how the story moves along with the Walking Dead timeline. The Walking Dead: Road to Survival also requires players to make decisions during the game, so while it has the elements of other mobile base building games like wait timers, stuff you can unlock, social media integration etc. it also has features that make it stand out. There’s also multiplayer mode in the form of raids where your goal is to build up your reputation, making this a worthy entry into the list of the many Walking Dead games.